I can't claim that these are the absolute best popular science books of the year. All that I can do here is to look at the books I reviewed for popularscience.co.uk in 2014 (with the addition one guest title). Any "best of" list has to operate within the subset provided for selection, and this is no different. But I have no hesitation in saying they are amongst the best. Looking back over 2014, we had a middling year -- not disastrous, but not one that was packed with stand-out, must-read titles. Even so, there are a good few to choose from to add to any respectable popular science collection. I'll start with a touch of meta-science. Ben Goldacre's chunky I Think You'll Find It's A Bit More Complicated Than That brings together a whole range of articles written by this crusading British medical doctor and journalist on bad science, poor media handling of scientific stories, quacks, fakes and more. It's an essential for anyone trying to negotiate the minefield of the way that science is presented to the public. I usually detest really long books, but this 474-page giant flew by. Because it is a collection of articles it also works well as a dip-in book. Quantum physics comes in strong with a pair of titles. 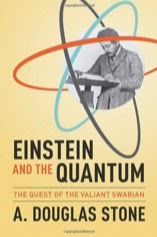 Einstein and The Quantum by A. Douglas Stone is probably best for someone who already knows a bit about quantum mechanics, but hasn't come across the sheer depth of Einstein's contribution to a theory he came to detest. It's not a scientific biography, although it does put some of the science into a biographical context, but it gives a superb picture of the way that quantum physics was built up. The author perhaps expects a bit too much prior knowledge from the reader for an absolute beginner, but it's well worth the effort. With a certain lack of modesty I'd also like to include my own The Quantum Age, which is aimed at more of a newcomer to quantum physics. 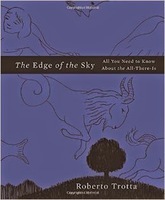 The basics of the science are explained, but the book's main focus is the way that quantum physics has been used so impressively, from electronics and lasers to the low temperature marvels like the superconductors that produce the hugely powerful magnets behind the Large Hadron Collider, MRI scanners and levitating trains. Some of the stories behind these technologies are delightful, especially the development of the laser during the height of the cold war. 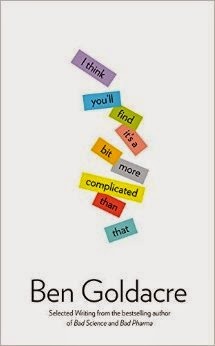 I can't heap nice words on my own book, so I'll leave it to John Gribbin, who said "Brian Clegg does a superb job of explaining complicated scientific concepts in an easily understood language. The Quantum Age is his best book yet, because the concepts he explains are central to our everyday lives in the 21st century even though most people think they are incomprehensible and abstruse." Biology, usually a subject that doesn't grab my attention, manages three entries in the list. The first, The Compatibility Gene by Daniel M. Davis, long listed for the Royal Society Winton Prize for Science Books, is a fascinating and fluently written exploration of the small group of genes that seem to contribute to making an individual more or less compatible with others, whether on the level of transplants or sexual compatibility. Not only is this a great read on the central subject, it also gives lots of background on the immune system, something about which most of us know far too little. 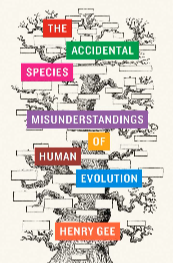 The second in the biology category was the fascinating The Accidental Species by Henry Gee, which eloquently explains why the concept of a 'missing link', while attractive to journalists, is just wrong - along with those popular drawings that have an apparent evolutionary progression from an ape-like creature, through a cave man, to a modern person. With the enthusiasm of someone who knows his bones firsthand, Gee tells us about what we do know from fossil remains, particularly in early and pre-humans, but also about the huge gaps. He explains clearly and precisely just what evolution is -- and what it isn't. And he gives short shrift to creationists, making clear that evolution is inevitable, not wrong -- it is just that when we misunderstand evolution's nature, or try to read more into the fossil record than it can tell us, we misuse the science. 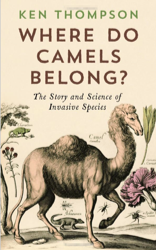 Last, but definitely not least, of the biological trio was Ken Thompson's demolition of ecologists' usual frenzied reaction to invasive species in Where Do Camels Belong? Thompson points out that the very idea of a native species is a fluid one. (Case in point the rabbit in the UK, which was native before the last Ice Age, went extinct, was introduced as a non-native species by the Romans and the Normans... and has been around long enough to be considered native again.) Then there's the difficulty of whether an invasive species really does cause a problem -- often the perception comes down to whether or not we like the species. In some cases an invading plant, for instance, high on the "public enemy" list, has proved to actually increase diversity in its habitat. On the technology front, I'd recommend that any computer geek should get hold of When Computing Got Personal by Matt Nicholson. 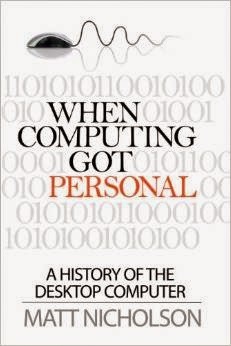 There have been plenty of titles on the rise and rise of personal computing, but this was a stand-out for me in its combination of a good, but not over-the-top, introduction to the key figures combined with real gutsy detail on the technology itself. If the thought of finding out why IBM was so tardy bringing in the 80386, what happened to products like Borland Sidekick and Visi On, the real story of the demise of CP/M, whatever happened to OS/2, Microsoft's U-turn in embracing the internet and far more, click away (because surely you shop online) and buy this book. Finally, for sheer quirkiness I have to include Roberto Trotta's The Edge of the Sky, which is probably the strangest and most poetic popular science book I've ever read. Trotta sets out in a compact 12,000 words to explain cosmology, but applies what should be a crippling restriction. He limits himself to using the 1,000 most common words in English (in fact, he needs only 707 of them). While occasionally this results in irritating arbitrariness -- as when he uses people's names, but not country names, so calls China "the land of Mr. Mao" -- the effect is to produce a strangely hypnotic, poetic quality that reminded me of Longfellow attempting a science prose poem. Here's looking forward to an even more interesting 2015. Please note -- these books were reviewed in 2014. Most, but not all will have been published during this year.